Internet browsers are of fundamental importance to surfing the internet, you are using one right now! There are many debates about which browser is the best, and at some point I hope to write my own, I use Google Chrome and want to talk about my top 19 Google Chrome extensions. Extensions which will improve your browsing experience! At the bottom of the list the extensions are just to enhance your Google+ experience. Well this does what it says on the tin, blocking ads where it can. It also (and in my opinion its best feature) blocks ads inside of YouTubw (this is still in its beta stage, but works mostly very well). 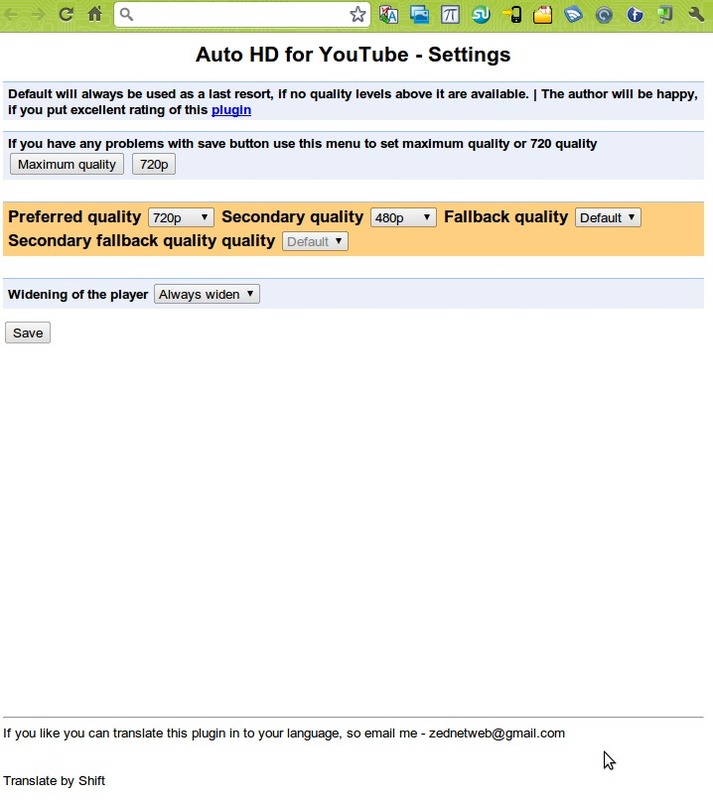 This lets you set the default quality settings of videos in YouTube. So you can make 720p (for example) the default video quality, you can also set the player to automatically widen. A very useful feature. This extension will automatically reload any webpage you set, and at a time interval you choose. I use this since I have the BBC homepage as a pin tab, but annoyingly it doesn’t auto refresh, but this way I can have it refresh every 15 minutes! Perfect. The best calculator around. 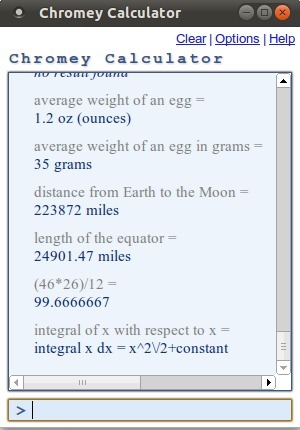 This collects its data from the Google calculator, Wikipedia and Wolfram Alpha. You can ask it almost anything! There are a couple of examples in the picture, but this is exactly what you need at hand! There are a lot of Facebook Google Chrome extensions, but to be honest I don’t care much for most of them! That is except photo zoom, hover the mouse over a picture and it will automatically show you an enlarge version. Making it quick and easy to see some pictures! There are a number of reasons to use a URL shortener (such as bit.ly), perhaps mostly in Twitter, where characters count for everything. But using one you can also check how many times a link is clicked on, and details of the computer which followed the link. Click on this extension to get the goo.gl link for that page. This extension is only useful for those who have an Android phone. Simply visit a webpage, click the “Chrome to Phone” extension and then the website you have opened will be sent to your Android handset. This is particularly useful when used with Google Maps. You can visit Google Maps, set up a route, and then send it to your phone, ready to use Google Maps Navigation. After you click on a Google search result, Quick Scroll may appear in the bottom-right corner of the page, showing one or more bits of text from the page that are relevant to your query. Clicking on the text will take you to that part of the page. Another one which is pretty much, does what it says on the tin. Displays your Google Reader unread count. Clicking the icon shows a preview of your reading list in a popup (or it can open Reader in a new tab). Another obvious one. Use this extension to capture visible content of a tab, a region of a web page, or the whole page as a PNG image. You can also edit your captured image before saving it as a PNG image. Highlighting, redacting and adding text are supported. I’m sure everyone knows what StumbleUpon already is (and if you don’t look it up!). This just gives you the StumbleUpon bar at the top of your tab. This one is great if you watch a lot of (not maximised) videos on YouTube. You lick on the lamp button and the page will fade to dark apart from the video content. Click again, the page will return back as normal. This is the same as Facebook Photo Zoom from above, hover the mouse over a picture and it will automatically show you an enlarge version. Making it quick and easy to see some pictures! Google+ does not have a quick way sharing your posts to Twitter, LinkedIn and Facebook, this extension will add a link “Share on …” to each post. Once clicked, it will bring up an internal bubble asking you where to share your post. This extension adds a Facebook button just to the left of your ‘Home’ button in Google+, which when clicked brings up your Facebook feed inside Google+! Excellent! You can even post from there, the only that is missing is the ability to comment, or like on a status. 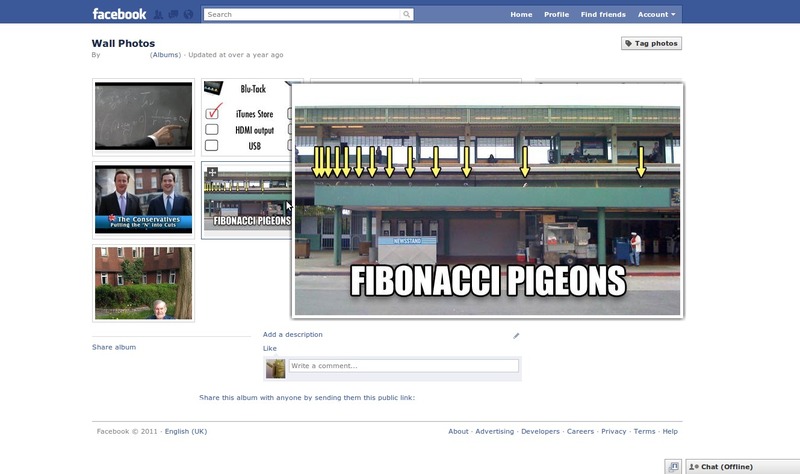 But there is a link next to each tab to open it in Facebook. Click here to go to the page to install this extension. At the moment you can not hide comments in Google+, a problem when some celebs post and immeditatley hundres of people reply. Just install this and you can! Perhaps not strictly a Google+ extension, as +1’ing a website has been around on the Google search page for a while. But this adds a +1 button in your tool bar, letting you hit it on any page (not just from the search resutls) and this will add it to your list of +1’s, which can be found under your Google+ Profile. My favourite Google+ Chrome extension, it simply adds the red notification box to your tool bar. Which works exactly like the notification box in Google+, you can post or respond from within the popup, have desktop notifications, notification sounds and switch between multiple Google accounts if you are sharing your computer. This entry was posted in Google Feature, Internet and tagged Extensions, Google Chrome. Bookmark the permalink.